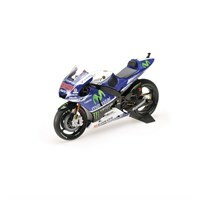 Buy all the latest Jorge Lorenzo diecast models at Diecast Legends. Minichamps 1:18 diecast model of the #99 Yamaha YZR-M1 as driven by Jorge Lorenzo in the 2016 Moto GP season. 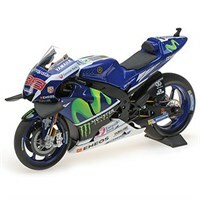 Minichamps 1:12 diecast model of Jorge Lorenzo's #99 Yamaha YZR-M1 from the 2014 Moto GP season.